Nestled in with a host of other student-frequented spots at 33 Hurt Plaza SE, Rozina Bakehouse and Coffee, is run by Chef Shay Lavi, who moved here from Israel just four years ago. Lavi adds touches of Mediterranean flair to both the decor and menu. The inviting feel of Rozina Bakehouse and Coffee is not the only aspect that students will be drawn to. Lavi kept convenience in mind when designing the space, making it an ideal study spot in the heart of Georgia State’s campus. With plenty of charging ports along each bar and at each table, the space feels as though it was tailor-made for study sessions. The rustic, cozy vibe of the restaurant is accented by art from local artist Josh Jameson, and the sweet smell of warm pastries made in-house only adds to the homey ambiance. The inspiration for the concept, Lavi said, comes from his family — specifically his mom, grandma and the street food of Israel. 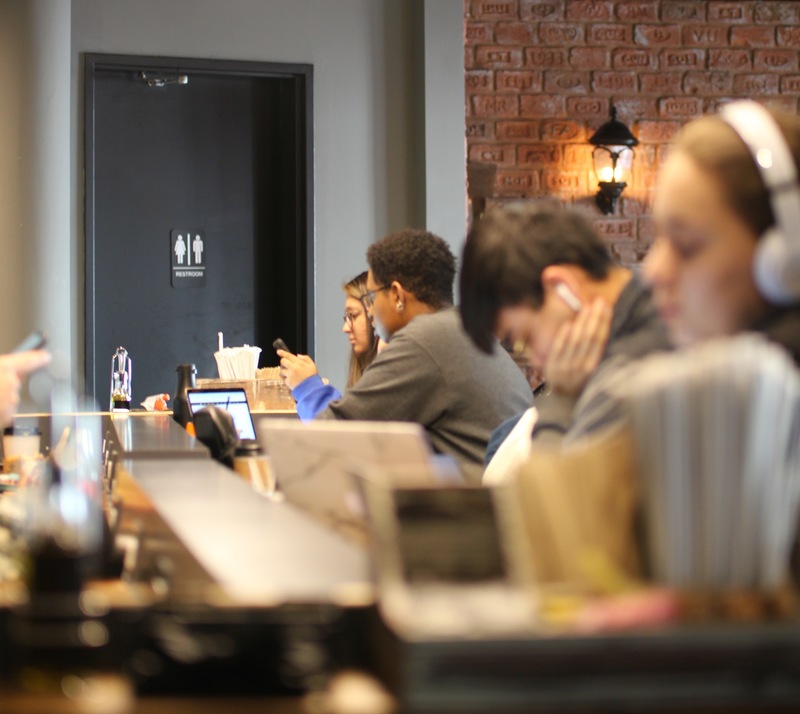 Operating from 7 a.m. to 6 p.m. on weekdays, the restaurant offers specialty coffee drinks, sandwiches and desserts for prices that college students are sure to appreciate, especially in the heart of Atlanta where expenses quickly pile up. Neither the quality nor selection of food disappoints. Sophomore Danielle Akinwande ate at Rozina in its first few weeks of operation. Lavi’s appreciation for accessibility shows not only in the prices and restaurant layout but also in how he approaches his business: with a relaxed, friendly manner. Along with accessibility and convenience, Rozina Bakehouse and Coffee puts an emphasis on generosity. Lavi said he would like to make an impact on the homeless community in the area. “A simple gesture like giving them leftover bread can be really meaningful,” he said. The philosophy behind Rozina is based on Lavi’s affinity for simplicity and his passion for food. “The reason I cook is very simple,” Lavi said. “I want to make people happy. I don’t chase money. I chase kindness.